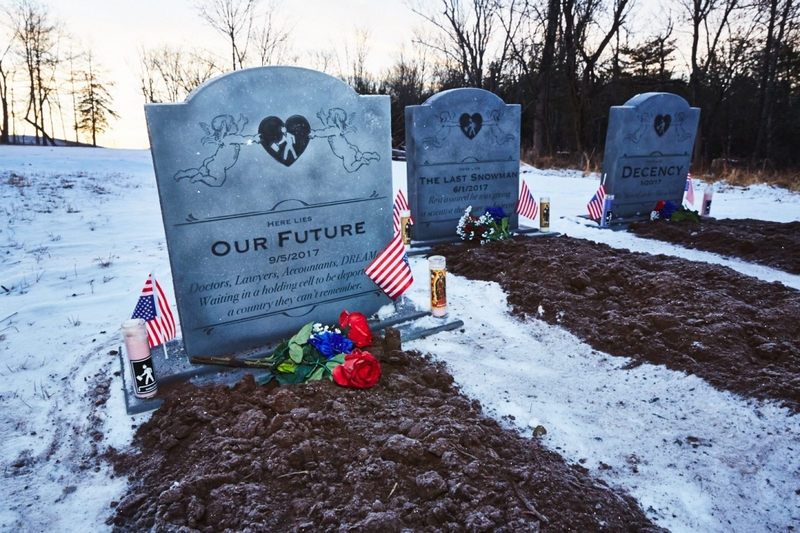 One week ago, members of the infamous street art collective known as Indecline commemorated Tangerine Mussolini’s ascent to power with a guerrilla art installation of a faux cemetery near his Bedminster, New Jersey golf course. 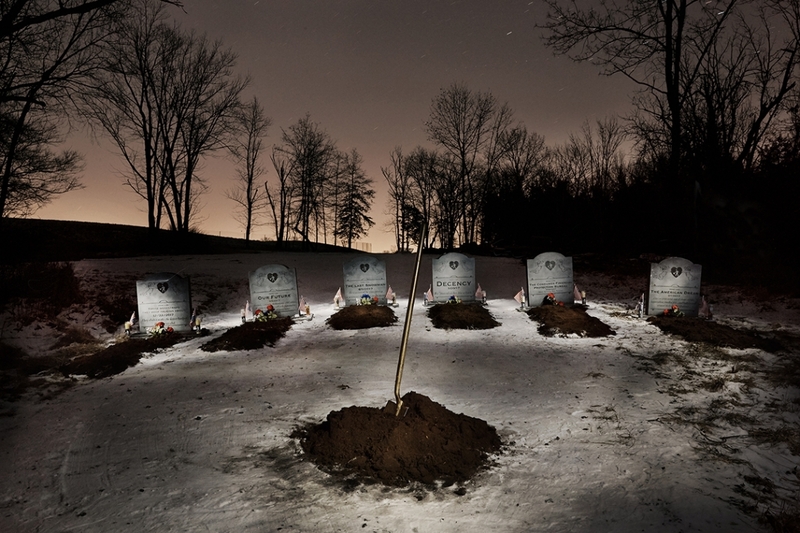 Using a truck disguised as a cable repair van, they planted a set of “gravestones” and erected a fake Trump Cemetery sign. 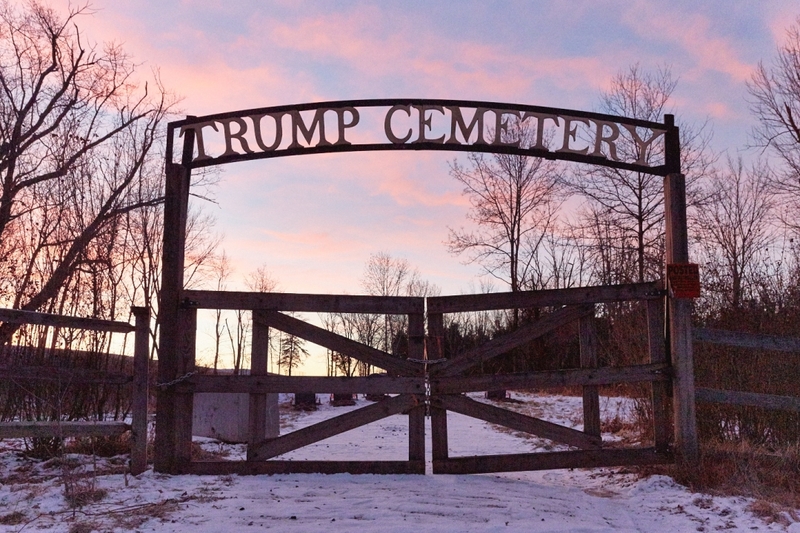 The cemetery has already been removed, I don’t think that we’ve seen the last from the folks who also brought us roaming, naked Trump statues. Here’s the official video clip on their NJ action. This entry was posted in Art, USA and tagged New Jersey, Street Art. Bookmark the permalink. THANK YOU THANK YOU! Thank you for finding and sharing this, gives us hope in the future. And inspiration. Not only a great idea, but the execution, too! Beautiful craftsmanship, pleasure to look at them working. We will follow their work now. Thanks Hana. Artist activists always encourage me to continue to resist oppression.